This is actually a complex issue as there are many factors that affect how long a crown will be serviceable in any one person’s mouth. A crown basically is a prosthetic device that surrounds and protects a single tooth that has been damaged by decay, breakage or extensive fillings done over time. Crowns, just like natural teeth, require maintenance, repair or replacement at some point. They almost never last a lifetime just as your natural teeth may not. Crowns are after all bio-mechanical devices that are under constant pressures and are exposed to everything that enters your mouth day after day, year after year. Crowns can fail in many ways. They can get decay underneath or they can break or just come off repeatedly, indicating replacement is imminent. Also a crown’s life can be extended if proper measures are taken. Here is a rather complete list of factors that affect how long a crown will last. The condition the tooth was in prior to having the crown made. Crowns on badly damaged teeth will definitely not hold up as long as those on teeth that are less damaged to begin with. A person’s diet and habits are a big factor for crown life. A person’s oral hygiene. How well you take care of your teeth is a big factor. Clenching and grinding habits. Crowns will have a shorter life in people’s mouths that habitually clench or grind their teeth. Regular wear of a Night guard will actually extend the life of a crown. Regular professional cleanings are important for removing plaque accumulations where the crown joins the natural tooth that will shorten a crown’s lifespan. Regular examinations to detect early problems with a crown that may be remedied before the crown fails. Surprisingly, most people do not know when they are getting a formal dental exam. Skill of the dental practitioner or operator. Surprising but very true. Quality of the lab that is used. Crowns are usually made in a separate facility called a dental lab by licensed operators called Certified Dental Technicians. Your dentist selects the lab and the materials to be used and hopefully scrutinizes the end result. The materials used. Crowns are made from many, many dental materials available. Your dentist generally chooses the materials he or she is most comfortable with and what they feel is best in your situation. Not enough can be said about this here. Short vs. longer teeth. Taller teeth tend to retain crowns longer than very short teeth. This and the way your dental practitioner prepares the tooth for a crown are factors in a crowns life. Front vs. back teeth. Back teeth tend to be under more stress and loads than front teeth so in general crowns on back teeth need to be replaced more often than those on front teeth. The cement that is used. The dental cement used to retain a crown in place is very specialized and is not used for any other purpose. The type and quality of the cement are factors in keeping the crown from coming out. What about bad experiences with laughing gas? Many prospective dental patients that I encounter are unaware of the role the General Dentist plays in the scope of their overall dental care. Being established with a General or Family dentist you trust is an important ingredient in keeping the cost of dental care low by preventing unexpected pain or unplanned emergency procedures. I encounter people often who are actually shopping for a dental procedure such as an implant or teeth whitening or a specialist who performs a certain procedure. Most of them are not established with a General Dentist (GD). If they were, a lot of time and effort could be avoided as the GD is in the best position to guide you through the world of dental treatment options. In order to ensure the best outcome for their personal situation it is vital that they be established with and have a good relationship with a General Dentist. They call several offices asking for price quotes on the dental procedure as if they as if they knew this was best for them. I often wonder are they looking for the lowest fee quoted or someone who seems the most knowledgeable and caring; I hope it is the latter. 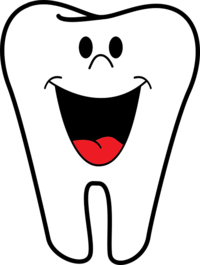 Dentistry is a health service and is very specific to ones personal situation. Implants aren’t for everyone and teeth whitening may not work at all for some people. A crown may not be the right treatment for that tooth. How would the average person with no medical background know that? Today most everyone is very cost conscious but mostly they want to get the most value out of every dollar they spend. Your General Dentist is the one that is most aware of your personal dental situation and should be your advisor on how to spend your dental dollars most effectively. Obviously there should be a bond of trust with the GD, and he or she should communicate well with their patients. If this is not the case then it may be time to make a change. I see a large number of bad outcomes in dentistry usually result from poor communication and a patient without proper guidance. Patients who are looking for the lowest fee should consider if something goes wrong, is follow up available within a reasonable time, will you see the same dentist or someone that is familiar with your situation? Will it be redone at no cost if it fails? When a health service is heavily discounted you should wonder…are corners being cut? Are inferior materials being used? … will there be any follow up if problems occur? Ask yourself, do you want discounted brain surgery or a discounted parachute? The adage “you get what you pay for” unfortunately applies to health care and dentistry as well as anything else. © 2019 Smile Art Dentistry.